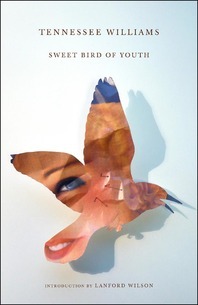 Sweet Bird of Youth - Description | W. W. Norton & Company Ltd.
Now with an insightful new introduction, the author's original Foreword, and the one-act play, The Enemy: Time, on which Sweet Bird of Youth was based. Tennessee Williams knew how to tell a good tale, and this steamy, wrenching play about a faded movie star, Alexandra Del Lago, and about the lost innocence and corruption of Chance Wayne, reveals the dark side of the American dreams of youth and fame. Distinguished American playwright Lanford Wilson has written an insightful Introduction for this edition. Also included are Williams’ original Foreword to the play; the one-act play The Enemy: Time—the germ for the full-length version, published here for the first time; an essay by Tennessee Williams scholar, Colby H. Kullman; and a chronology of the author’s life. Four decades of correspondence of Tennessee Williams’s and James Laughlin’s unlikely yet enduring literary and personal relationship. Now with a new introduction, the author's original Foreword and Afterword, the one-act play 10 Blocks on the Camino Real, plus an essay by noted Tennessee Williams scholar, Michael Paller.